How Far is Asset Aura? Ever heard of the 5 elements of life (Jal, Vaayu, Prithvi, Aakash and Agni) integrated into a living concept? Well, Asset Aura is an eco-conscious endeavor in that direction. We at Asset Builders take pride to announce the launch of our new project "Asset Aura" that embodies the 5 elements of life! Asset Aura is strategically located at Gunjur, off the Whitefield - Sarjapur Road the locale promises fast-paced development activity for it allows quick access to Corporate Corridors* & Shopping Districts** alike. Ceramic tiles in balconies and external utilities. Anti-skid ceramic tiles in bathrooms. Full height French doors with sliding glass shutters to balconies in Living /Dining. Ventilators with adjustable glass louvers and provision for exhaust fan in toilets. 2 track frames with sliding glass shutters & MS grill protection. Hardwood frame with moulded skin panel shutters. Stainless steel accessories for Main Door. Full height (false ceiling height) dado with ceramic tiles. Elegant basins & commodes, branded CP fittings and health faucets. Hot & Cold water mixer unit for shower. Solar heated water connection to all toilets. Provision for Modular Kitchen: 20mm thick polished granite slabs along with tiles to cover 2 feet above the slab and imported stainless steel sink with drain board and tap will be supplied. Electrical and plumbing points including points for water purifier and chimney in kitchen and washing machine in utility area. Good quality fire resistant copper cables of Anchor/RR equivalent make. Elegant modular switches of Anchor/ MK equivalent make. One MCB for each room provided at the main distribution box (DB) within each apartment. For safety one ELCB(Earth Leakage Circuit Breaker) for each apartment. Adequate light, fan and plug points. TV point in living room, MBR & one other bedroom. 3KW power supply (BESCOM + renewable) for each apartment. Additional load at extra cost. Weather Proof Acrylic Exterior Emulsion Paint for external walls. Interior Acrylic Emulsion paint for internal walls and ceilings. Enamel paint for all MS works & wood works. Since its inception in 2005, we at Asset Builders have been continually evolving - learning new things, unlearning outdated practices & perfecting our skills to achieve excellence. The Asset Elvira one of the Ready to Occupy project by the builder has been one of the most welcomed project by the builder developed with 2,3 BHK Dommasandra, Sarjapur Road. A development driven by better outline, more hearty principles, and eventually, a supportable earth forward impression, and sheltered, feasible, comprehensive and lovable homes, for all. One such environment friendly project is The Asset Bliss a plot development by the builder developed with Plots of various dimensions developed in a BMRDA Approved layout. CoEvolve Northern Star one of the 1,2,3 BHK Apartment in Thanisandra, Hebbal in a BBMP Approved Layout. 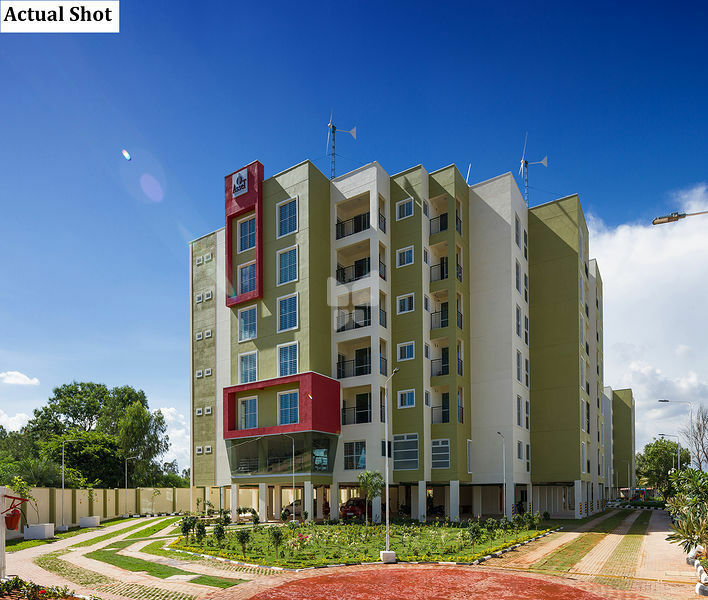 Coevolve being a renowned builder in Bangalore has created some exceptional projects around the locale with more space to move around inside the community. Offering Green living spaces for its customers thus by saving the environment. The projects are exceptional in quality of its construction and also in amenities offered. Apartments that are rightly sized and rightly priced. Because everyone deserves to have their dream home transformed into a reality. Whether you wish to invest and be a part of the exponential growth of the vibrant city of Bengaluru or aspire to settle down in this land of opportunities and warm people. Your search for an affordable home end here! Circular Living - a step up from simply living sustainable, where every built environment is planned, designed and constructed holistically, based on the principle that no resource should be wasted, and where all waste is considered a valuable resource. In all our projects, we strive to stay connected, build circular and focus on helping the world CoEvolve to Circular Living. Quality constructions, state-of-the-art facilities, affluent neighborhood, excellent facilities and personalized services spell out the quality of life that CoEvolve provides.